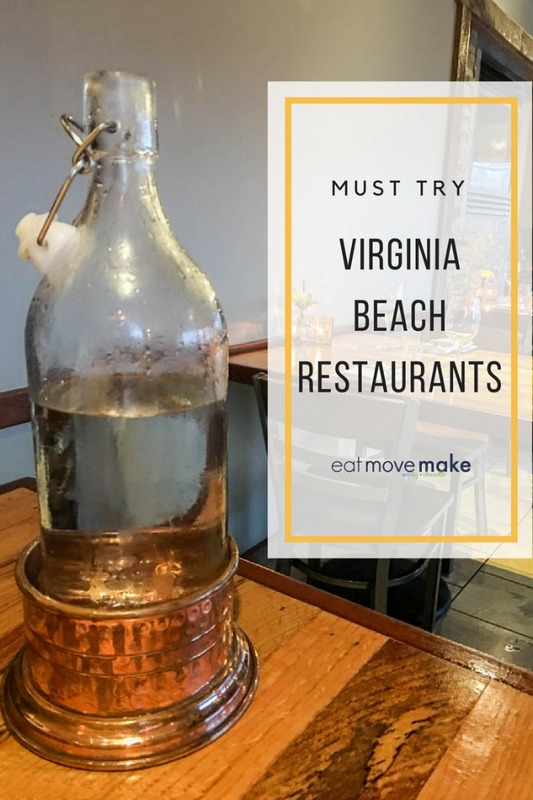 Restaurants In Virginia Beach | A Few Faves And Some Fabulous Hidden Gems! Virginia Beach, you certainly know how to feed a girl. 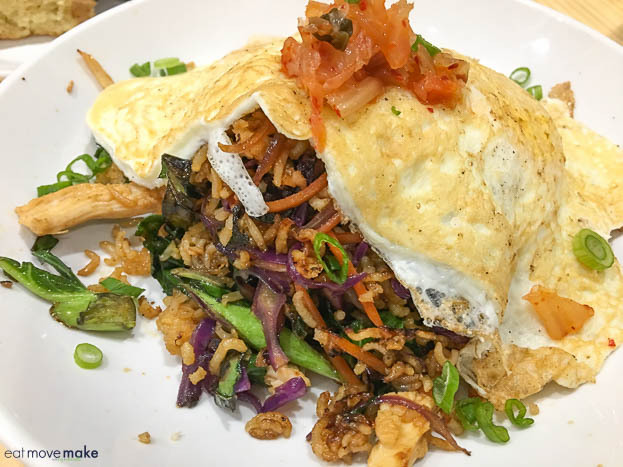 There are some good foodie eats in your ‘ville, and they’re worth sharing, so I put together a list of restaurants in Virginia Beach worth trying. I’ve done my best to group them geographically to make planning a little easier for everyone. The locals must be keeping this gem of a restaurant plenty busy on their own, because there’s no big flashy sign outside beckoning tourists to visit. Thankfully I heard about it, and stopped in for lunch. The restaurant used to be a doctor’s office in the late 30’s, and now it’s serving up breakfast and lunch open kitchen-style. Really neat place, friendly staff and feel-good sandwiches. 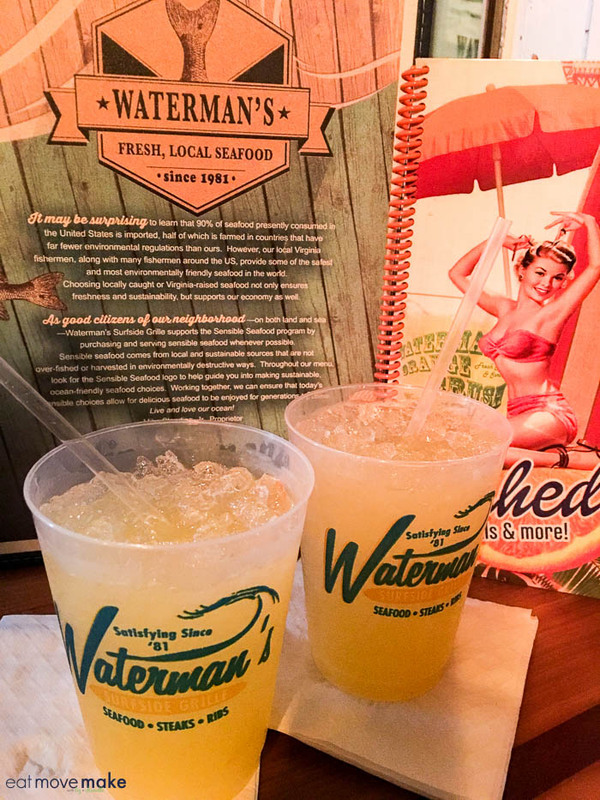 I couldn’t resist trying the famous Waterman’s Orange Crush cocktail, so we made it the last stop of the evening and sat in the heated outdoor patio with a beautiful view of the ocean as we sipped. There are lots of “crush” cocktails available, but the bartender highly recommended getting the original Orange Crush if we hadn’t tried it before. We really enjoyed them and almost ordered another round, but we were driving, so responsibility won out. We’ll be back for another Orange Crush and a meal next time! (Website) Open daily, Happy Hour Sun-Fri 3-6pm. 5th St and Atlantic Ave Virginia Beach Valet parking available. 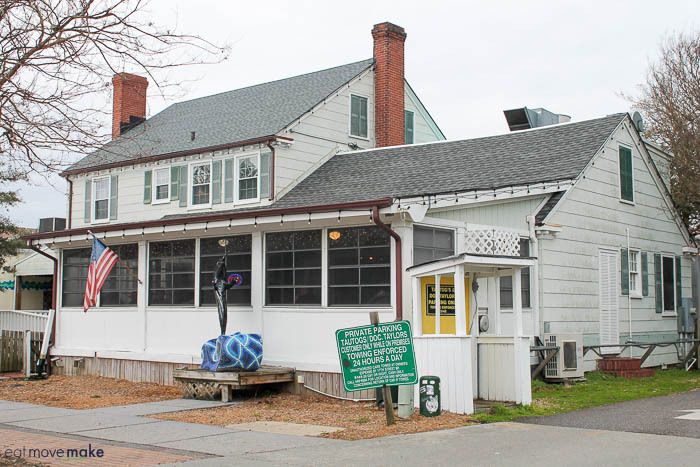 This longstanding Chesapeake Bay restaurant serving fresh local caught seafood really draws in the crowds, and it’s no wonder. Not only is the food delicious, but the dining room has a beautiful sweeping view of Lynnhaven inlet. We had a seat right next to the window, and it was really fun to watch the birds and boats come and go. Great lunch spot! The fresh coleslaw was phenomenal! The restaurants in the ViBe district were my favorite of the bunch. 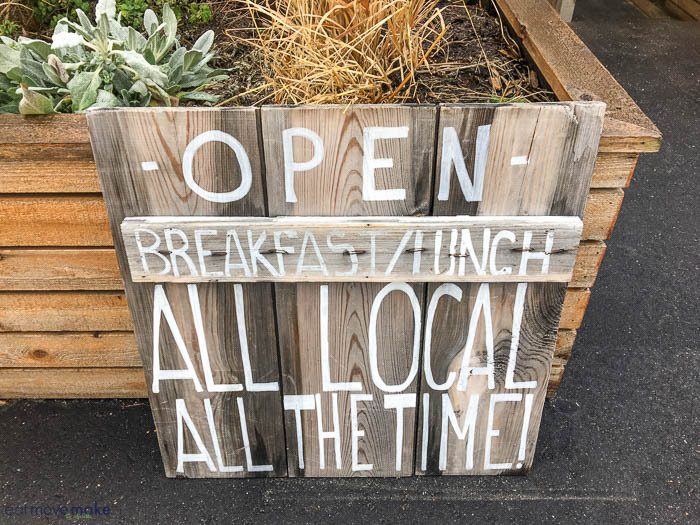 They’re on top of current food trends with clean eating and locally sourced fresh ingredients, and the food is superb! 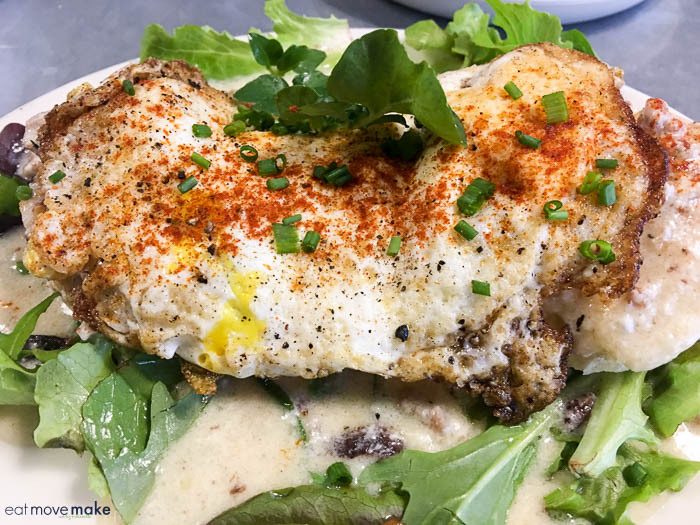 Virginia Beach’s first farmer owned eatery uses sustainable, seasonal and local ingredients (many from the on-site garden) to make unbelievably delicious and memorable food. Surprising ingredient combinations result in unexpected flavors, so be prepared to fall in love with Commune at first bite. Staying true to its name, seating is community-style with tables and counters, but it’s a fairly small place, so go early if you’re on a time crunch, or just grab something from the bakery. 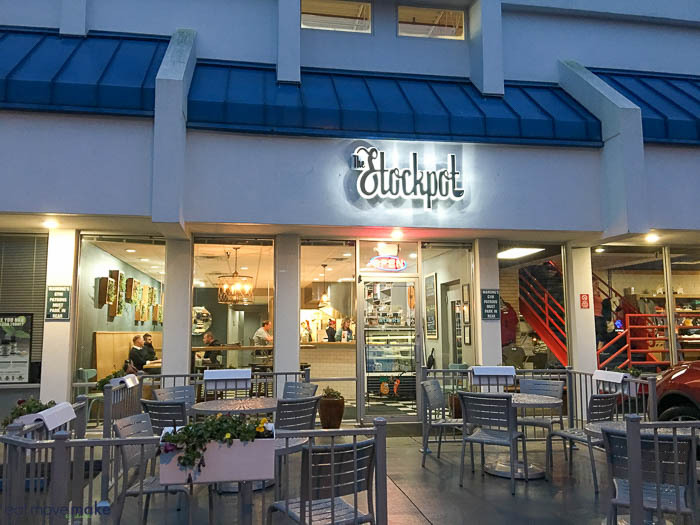 It’s all about healthy comfort food, and yes… soup at The Stockpot, and this unique little eatery doesn’t disappoint. 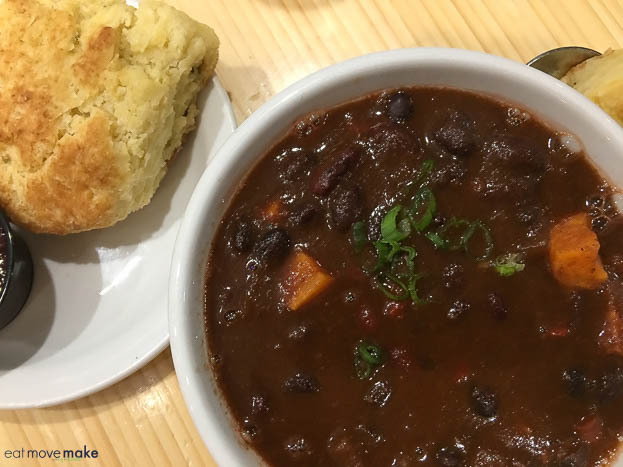 Everything is made from scratch with locally sourced ingredients whenever possible, and the food is outstanding. The full menu is available all day, so you can order breakfast, lunch or dinner. Soups are served with tasty little rosemary biscuits for dipping, sopping or popping — your choice. Esoteric is where you’ll find the best craft beer selection in Virginia Beach along with a diverse and carefully curated menu. The restaurant shares a garden with Commune, so many of the ingredients used are sourced right from their own backyard. 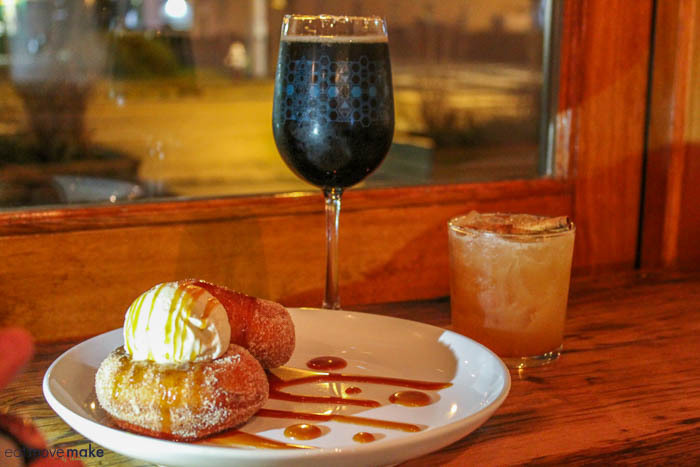 I ordered one of their amazing cocktails – the Boozy Apple, and we shared an order of their award winning cinnamon sugar sweet potato donuts. Fantastic! We’ll definitely be back to sample the full menu though. 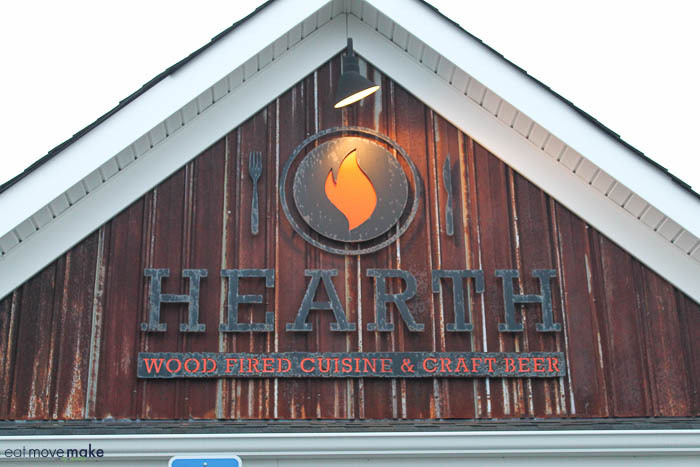 If you’ve got a craving for a great wood fired pizza, Hearth (which originated as a food truck) is the place to go. 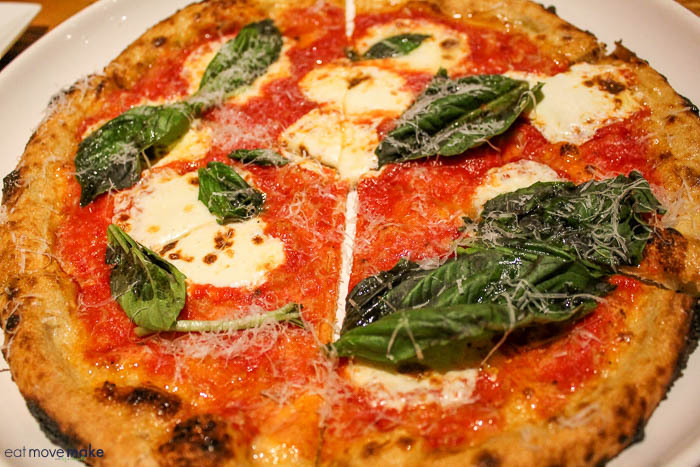 If you can dine between 5-6 pm during Pizza Happy Hour (Tues-Sun) even better, because pizzas are just $10! The restaurant’s rustic decor and fireplace add a cozy warmth, and the staff is very friendly. 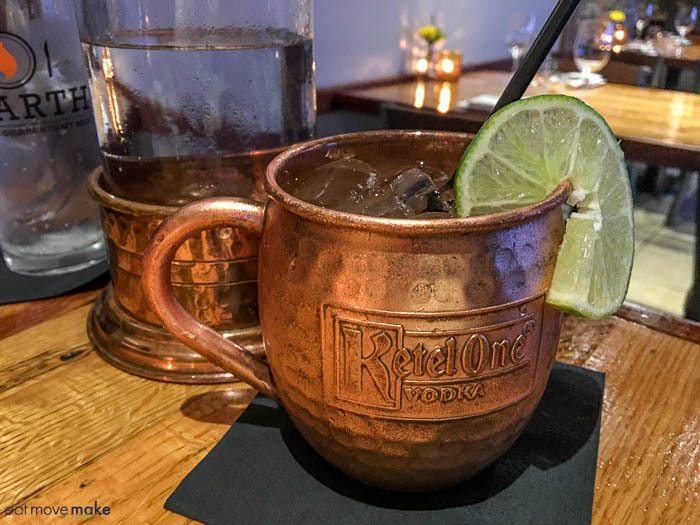 If you like cocktails, the signature “Hearth Mule” is excellent! (Website) Open Tues-Sun 5pm. Reservations recommended. Escape from the beaches for a while, and head to Town Center for the popular Chocolate Fondue dessert at The Royal Chocolate. 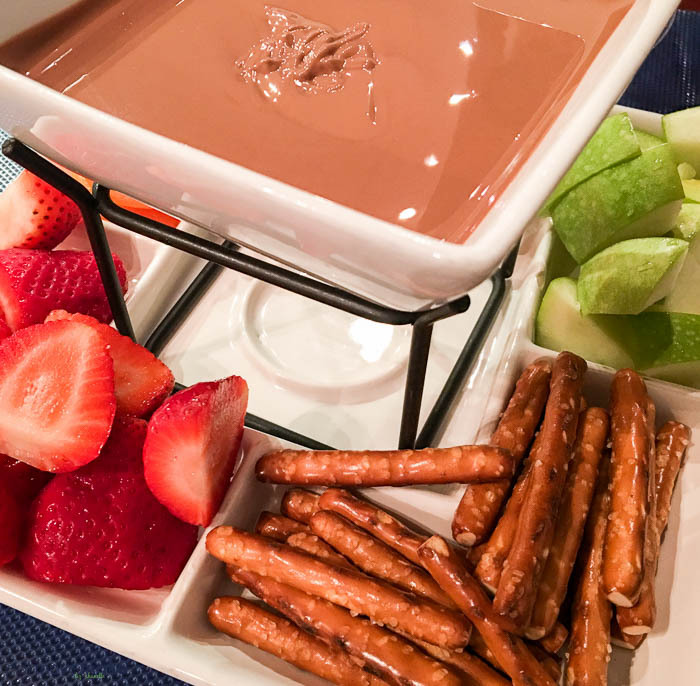 Choose from three different types of chocolate and four dipping items, or choose the package which includes a drink and three pieces of chocolate. 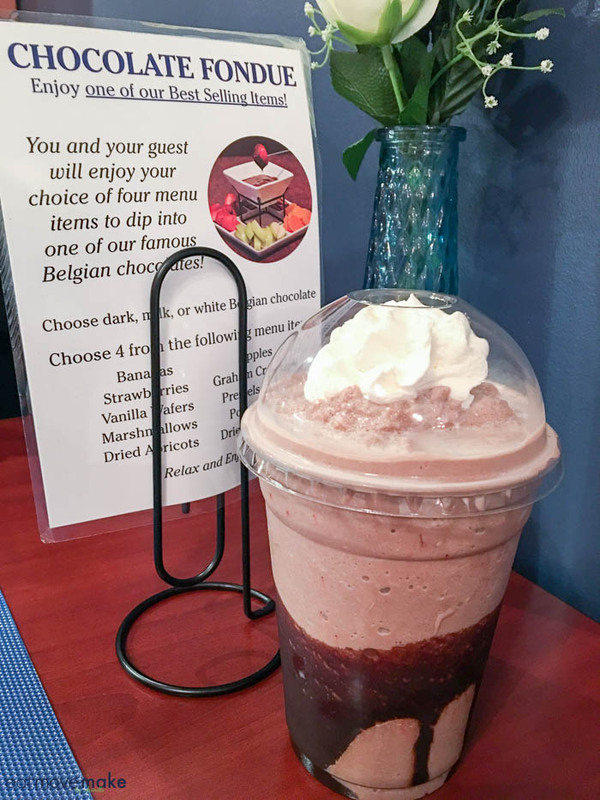 We ordered the full package with frozen hot chocolate drinks, and everything was sensational! The servers were super friendly and helpful, and it made the experience even better. Highly recommended! As you can see, I did a lot of eating on my recent trip to Virginia Beach, and not a bad meal was had. I received complimentary gift certificates to use towards my meals at Commune and Bubba’s, and the remainder of the meals I paid for myself. I’m really impressed with the culinary offerings in the area, especially with what’s happening in the ViBe district, and I’m looking forward to seeing what else pops up there over time. Psssst… Don’t miss my post on things to do in Virginia Beach, and check out visitvirginiabeach.com/ for more information. 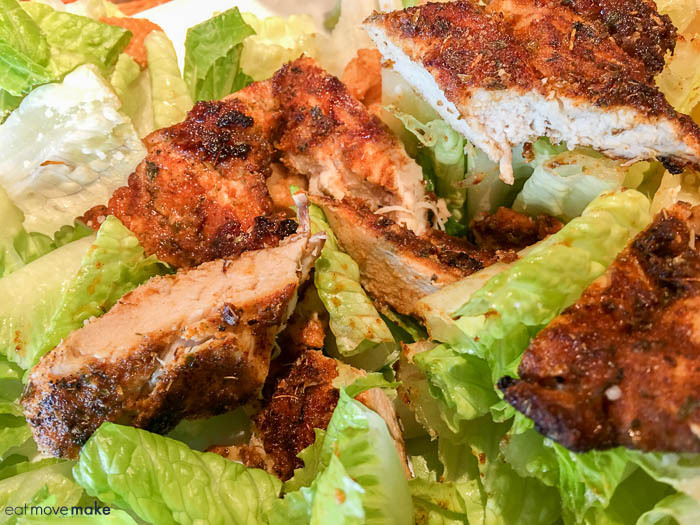 Where are your favorite places to eat in Virginia Beach? Have you tried any of the restaurants I mentioned? OK- I’m so drooling at your The Royal Chocolate photos! Those look so yummy. Also- I do have to say that Doc Taylor’s looks kinda sketchy from the outside but looks are so deceiving because it really is some good food! I love this area of Virginia. I think you definitely hit up all the best local spots..yummy!! I am so hungry after seeing this post. All of the food looks super yummy! Never been to VA and I didnt reallize it was such a foodie spot! Great places and now I would like to go there and get my grub on! Well, I am convinced that I need to visit Virginia Beach now. Seriously I am sitting here drooling on my keyboard. That all looks so dang delicious I can’t help myself. May have to book a trip today lol. I’d like that pizza and the fresh coleslaw that was phenomenal! I never liked cabbage much as a kid, and now I eat it all the time. Some wonderful list of nice restaurants all around Virginia which could come handy during our trip. Every restaurant looks amazing with some delicious & unique recipes to try out, a treat for food lovers! 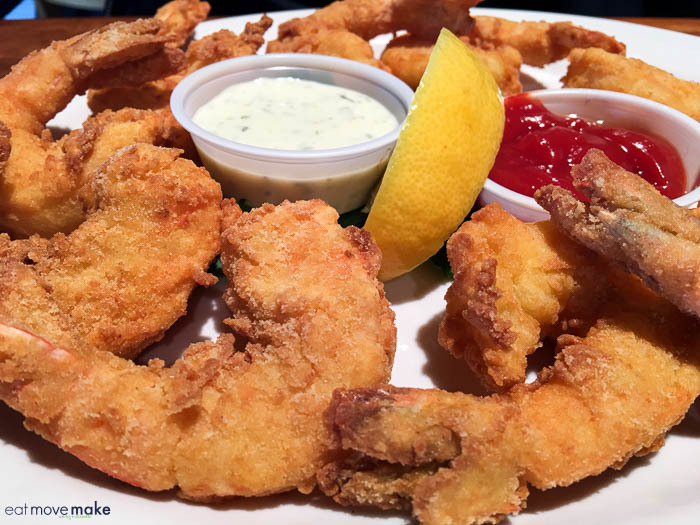 I’ve never been to Virginia Beach, but you can bet that if I ever get the chance to visit, I’m heading straight to Bubba’s Seafood Restaurant & Crabhouse!! The food on their website looks soo freaking good! I love it when you find the local favs! Can’t wait to get to Virgina Beach & try some of the yummy food. Virginia looks like it has some delicious places to eat. I can’t wait to visit and eat with the family there. I don’t get a chance to eat a lot of east coast foods, but looking at these makes me crave it! I guess that’s at least one reason to visit Virginia Beach. I love Virginia Beach! There are a ton of great places to eat there. You have some of my favorites listed. Very cool. 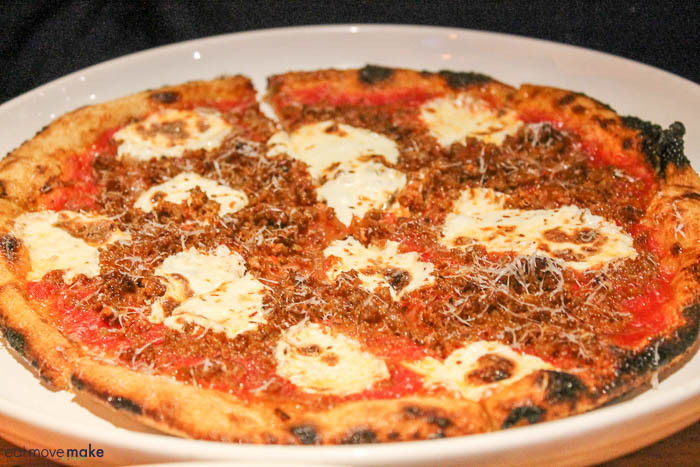 Wood Fire cuisine is one of our favorite! 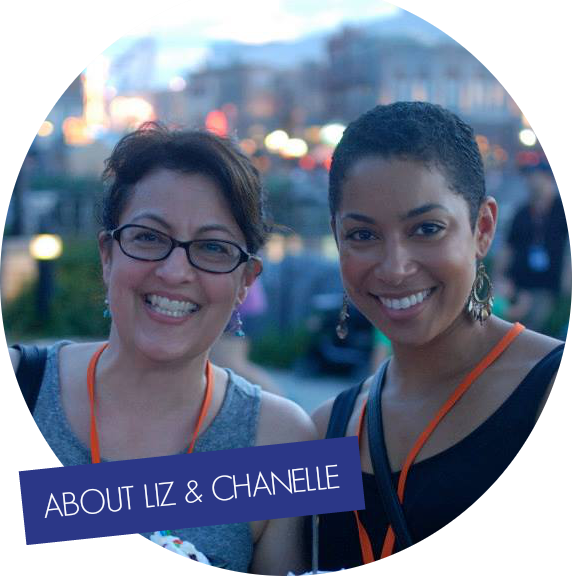 We visited Virginia and didn’t know about this place, so glad you are sharing with us! Looks fun and delicious! That donut? OMG!!!! Yummy! I love Virginia Beach and all it has to offer. These restaurants look so good! Thank you so much for sharing! Whenever we go traveling I always like to get restaurant recommendations and now I know exactly where to go our to dine when I visit Virginia Beach! These all look amazing and the food looks incredible. These posts seriously make me want to get in a plane and visit. I will have to keep all these in mind, would love to have some of that pizza it looks AMAZING. I have not been to Virginia Beach before. However, I think I would love to hit some of these restaurants if I were to go. I enjoy trying new restaurants when we are traveling. Everything looks so delicious I wouldn’t know where to start. Oh the choices!!! I spent a month or so in Virginia Beach when I was a teen. I loved it! Of all the places I have been, Virginia Beach is not one of them. You’ve certainly bumped it up to the top of this foodie’s list! Amazing places! And the foods looks delicious. I will be happy if i can try atleast one. I would go there for the seafood! Yum. The cornmeal waffles and bacon, the biscuits and gravy. 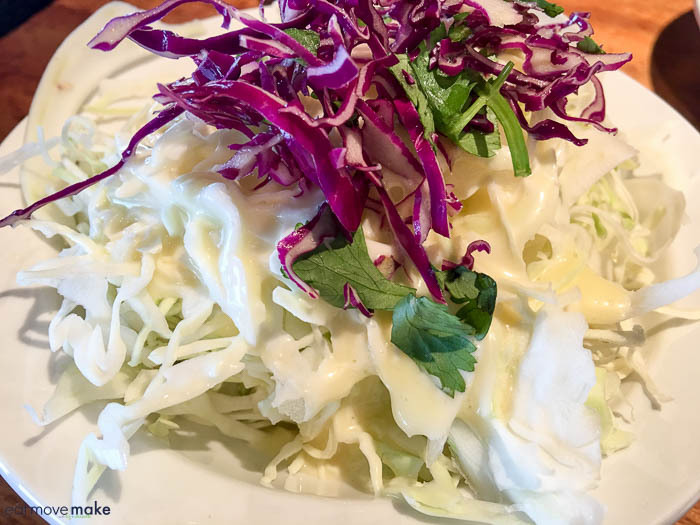 the coleslaw. Oh my goodness. I wish I lived close to Virginia Beach! No, I have not tried any of these yet, but I want to try them all. The food looks amazing! Wow! Everything looks phenomenal. I would love to try those cornmeal waffles! I have never been to Virginia Beach before. But the food looks amazing! I know where to go now that I’ve seen all these pictures! Holy cow ALL of the food looks to die for! I would love to make a trip there just to stop and eat at every one of these places! Man! Now I want to take a trip out there just for the food! It is one of my favorite parts of a vacation, local cuisine. Thanks for the advice! 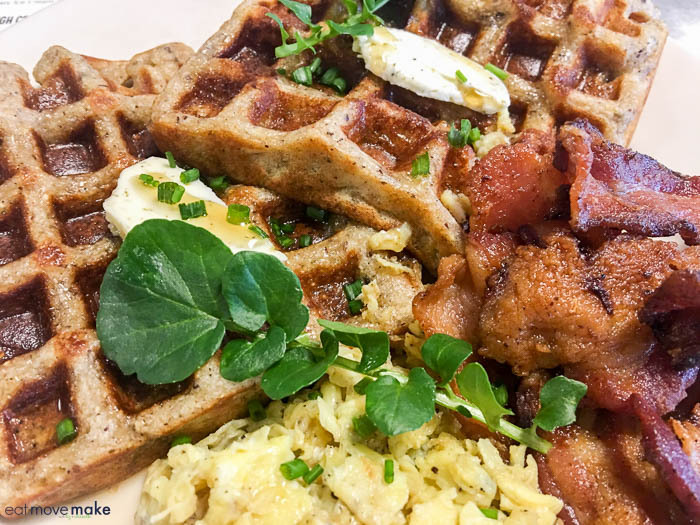 Those cornbread waffles are enough to make me want to go to Virginia Beach right now. These are all fantastic restaurants to try out. I loved Virginia Beach and would love to go back. It was a few years ago so I am due for a trip soon. I will definitely try out a few of these places. Wow they have a great selection of resturants in Virginia Beach. 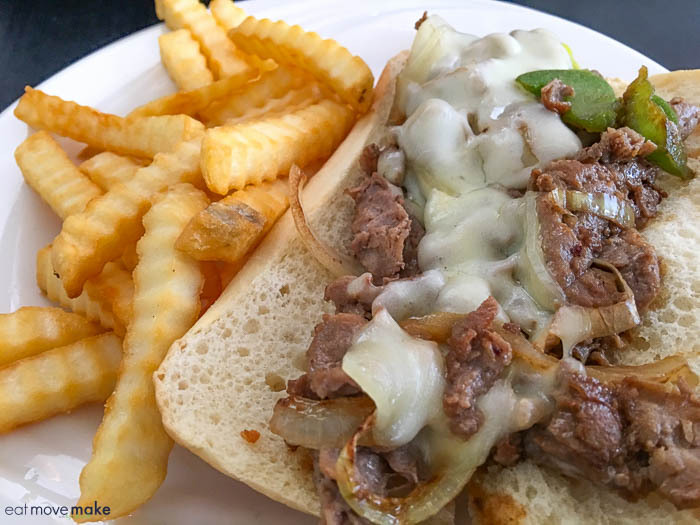 I want to try the Casey’s Philly Cheese Steak sandwich first. All of this food looks so amazing. I have always wanted to go to Virginia Beach. It looks like such a great place. If I ever go, I’ll definitely be stopping here for food. I haven’t been to Virginia Beach, but now I’m jonesing for a trip. Looks like a foodie paradise there! I was going to say something about which of these restaurants I would love to eat at, but honestly they all look good. The heirloom cornbread waffles at Commune look especially good though. I have never tried any of these places when I have been there. I am definitely going to have to look into them! We went to a steakhouse the last time we were there and loved it. I need to find the name of it, though!! As many times as we have been there I never really have gotten around to enjoying the local food. I’ll have to keep these places in mind! Oh my gosh, now I”m so hungry! They all look so good! I’d have to have a bit of everything and truly enjoy them all as well! We have been to Watermans! It was good. I can’t remember off the top of my head other places that we ate at. There was an awesome Greek one right on the boardwalk! These are great suggestions! Thanks so much for sharing! Adding this to our list! WOW! All this food looks amazing. I am especially partial to the Rudee Inlet. 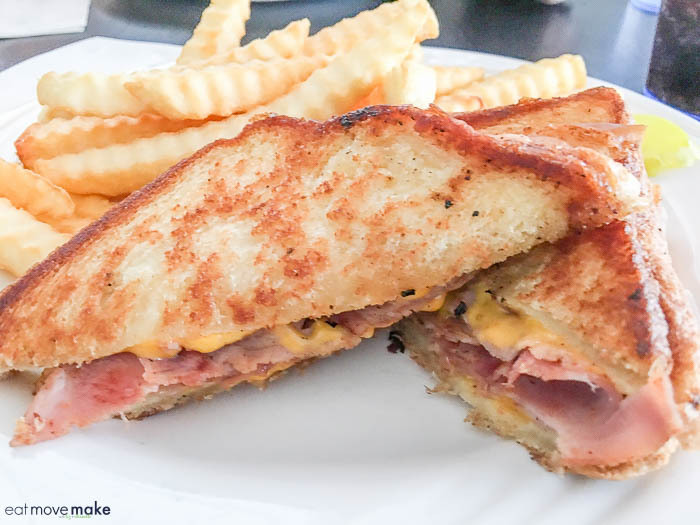 Must check these places out the next time we are in Virginia Beach. Oh My look at all that wonderful food. I am so in for this kind of trip. I love to eat. Oh my gosh, Moscow Mule!! I have recently gotten into them. I wasn’t too big into ginger beer, but somehow, when it’s in a Moscow Mule, it tastes delicious! So lucky you got to eat at all of those places. Those cornbread waffles look TDF! These all look great and worth adding to my list. I think Hearth would be my favorite. All of the food is amazing. I will keep these restaurants in mind if I am every in the area. Whenever I get to Virginia Beach I will definitely be taking a tour of all these places. I absolutely love food and love to check out places like this. All of these look amazing…but that Casey’s Philly Cheese…. omg I need that in my life! Thanks for these great suggestions! This is a foodie’s dream post! One of the best parts of Virginia Beach is the food. I’m bookmarking this for our next trip to the area. I had no idea Virginia Beach had such a great food scene! Thank you for the recommendations! Oh wow! These places look amazing. I want to try Doc Taylor’s in the worst way the next time we get to Virginia Beach.